It’s a tall order: Raise $8.9 million to build a La Mesa clubhouse and renovate a teen center. Fortunately, 6-foot-11 former NBA star Bill Walton is on the task. 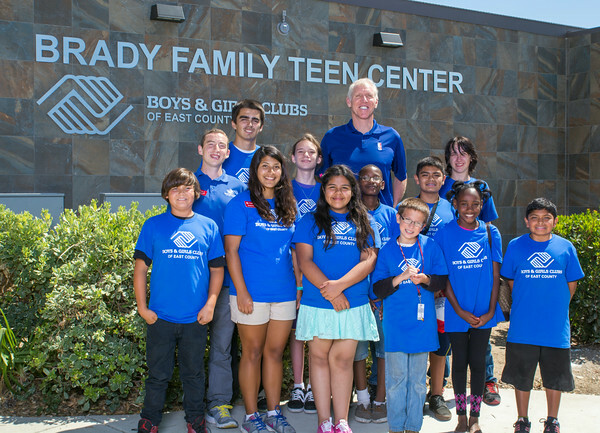 Walton is honorary chair of the Boys & Girls Clubs of East County Foundation’s La Mesa Capital Campaign aiming to build the Brady Family Clubhouse, renovate the Brady Family Teen Center and fund an endowment to operate both facilities. The Brady Family Clubhouse will include a 10,000-square-foot gymnasium named after Walton, who also has been inducted to the Boys & Girls Clubs of America Hall of Fame. At 5 p.m. Thursday, July 24, an event open to the public will feature a number of activities at the Boys & Girls Clubs of East County’s La Mesa Teen Center, 7775 Junior High Dr., on the La Mesa Middle School campus. Beginning at 5 p.m., a special reception for Helix High School alumni will be attended by Walton, the La Mesa native and Helix High graduate (class of 1970). Helix alumni who attended Helix between 1966 and 1973 are invited to attend and say hello to the NBA Hall of Famer. Helix students in those graduating classes were on campus the same years when Walton attended. Beginning at 5:30 p.m., a ceremony will highlight a $3 million pledge from Ron and Mary Alice Brady to build new Boys & Girls Clubs facilities as well as a $50,000 check presentation from the East County EDC Foundation, a nonprofit foundation affiliated with the San Diego East County Economic Development Council, a regional, business-growth organization. The Bradys, founders of the La Mesa-based construction Brady Companies, have pledged $1 million to renovate the existing Brady Family Teen Center and $2 million to help build a new 25,000-square-foot clubhouse to be called the Brady Family Clubhouse. The new Brady Family Clubhouse will be in Highwood Park on the west end of the middle school campus. At the event, the Bradys will receive commendations from La Mesa Mayor Art Madrid, the La Mesa City Council and U.S. Rep. Duncan D. Hunter. Presenting the $50,000 check from the East County EDC Foundation will be Bob Taylor, founder of Taylor Guitars and an ECEDC member. The $50,000 donation has been earmarked for computer equipment and career development training in the computer room at the Brady Family Clubhouse, according to Jerry Fazio, executive director of the Boys & Girls Clubs of East County Foundation. Taylor will present the check on behalf of the Matt Magana Fund, named in honor of a standout industrial arts student. The classes, often called shop classes, were previously offered at local high schools for many years prior to state budget cuts. Magana passed away at age 20 in April 2000. His mother, Diane Magana, director of international sales at Taylor Guitars, will attend the check presentation ceremony. A plaque recognizing Matt Magana will be presented to his mother. Madrid also will present a commendation from the City of La Mesa to the East County EDC Foundation board. Also speaking at the ceremony will be Steve South, president/CEO of EDCO Disposal and chairman of the La Mesa Capital Campaign. South will discuss a new website for fundraising efforts for the Bill Walton Gymnasium, FriendsOfBillWalton.org. Following the conclusion of the check presentation ceremony, tours of the La Mesa Teen Center will be available and the Helix alumni reception will resume. The existing teen center, opened in October 2006, is a popular home-away-from-home for La Mesa’s 11- to 18-year-olds. Recent renovations have included an exterior face lift and interior upgrades, including walls, ceilings, new furniture, computers and a security system. The new Brady Family Clubhouse will be the largest of the six Boys and Girls Clubs of East County. Construction is planned to begin in late 2015 or early 2016, with full operations scheduled for the start of the 2016-2017 school year. The clubhouse will feature a learning center called The Academy, a full-service kitchen and nutrition center and Little Rascals area for 5- to 7-year-olds, plus the Bill Walton Gymnasium.